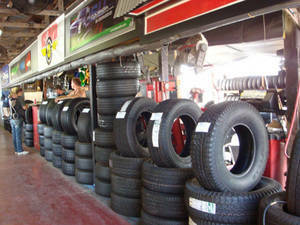 We sell new and used tires and wheels. 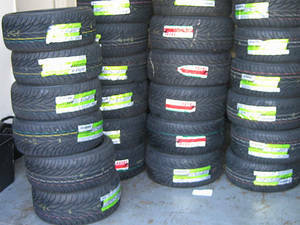 Michelin, Bridgestone, BFgoodrich, Goodyear, Falken, Nitto, Nexen, Pirelli. 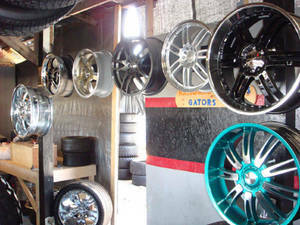 Factory sizes or custom sizes ranging from 14″ up to 26″ tires or wheels. We mount and balance on location. Patch or plug tires as well. We have OEM equipment for for your vehicle if you have a lease turn in. 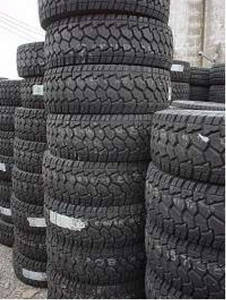 Also have hard to find sizes in stock along with run flat tires.